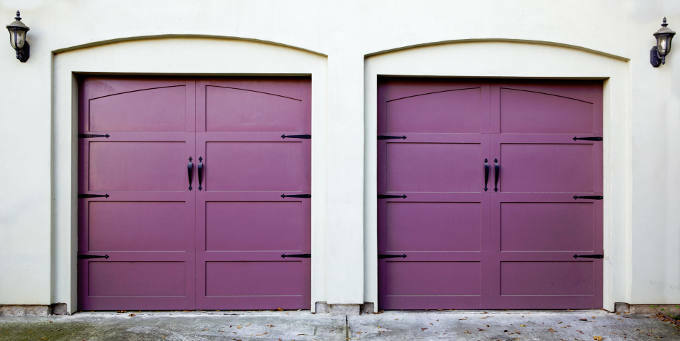 In our experience, homeowners prefer not to think too much about their garage door, at least not until something goes wrong. While we understand that there are far more demanding aspects of household maintenance, just a few little things can go a long way to extending the life of your garage door, and keep any repairs manageable. Possibly the hardest-working component in your opening mechanism, it’s really important to keep your springs in good condition. Check in on them every couple of months, and make sure they’re well lubricated to prevent them sticking or rusting, and if one breaks, make sure to replace it as soon as possible to avoid unnecessary strain on the remaining spring – they’re supporting the majority of the door’s weight, after all! Improper balance is the first sign that something isn’t quite right with your door, so pay attention if it starts to tilt when you open it. To check the balance, open the door about half way and use a spirit level along the front. Fixing the problem is as simple as adjusting the spring torsion, but if you’re not sure what to do, please call our garage door repair service. It sounds simple, but a thorough wash once or twice a year can keep your garage functioning properly for longer. Clean the tracks of dirt, gravel and twigs, and clear anything that could prevent the door from operating smoothly and fully. To wash the door itself, all you need is warm water, a gentle detergent and a medium sponge. Of course, eventually your garage door will simply become too old to function effectively, but until then we offer a complete range of tools, components and advice to help your door last as long as possible. If you are having trouble with your door or would like to arrange a service visit, please call us today on 0800 161 3733, or by completing a form on our contact page.